Man Takes Gun into Turkeyfoot Valley School District. Was His Point Valid? Before I begin with my opinion, I would like to state this article is a response to an article in the Somerset Daily American making a man, who was simply trying to prove a valid point, appear as though he had bad intentions. Here is the article for reference: http://www.dailyamerican.com/news/somerset/da-ot-man-takes-gun-to-turkeyfoot-school-20121219,0,2790413.story?page=1. Hours after the Sandy Hook shooting, one man had a crazy yet arguably insightful idea; he would use his rights to carry a concealed weapon to prove just how terrible the security at a local high school was. He walked into the school with his concealed weapon, just as he could on any street or any other place because he has a permit. He walked up to a staff member at the school and asked if they had a metal detector at the school. When they said no, he responded by saying that if they did, he would not have been able to enter with his concealed weapon. Keep in mind that this man is not a criminal, gang member, or any other threat to children. He is a father of three kids with a well-known local business in the area, making the issue a hard one to decipher. And now to the response of the local government…. Somerset County District Attorney, Lisa Lazzari-Strasiser believed that to fix this issue, they must put signs up that say that firearms are prohibited. However, many, including myself, believe that this is not going to keep someone meaning to do harm out of the school. In fact, many argue that it is only going to encourage him or her. 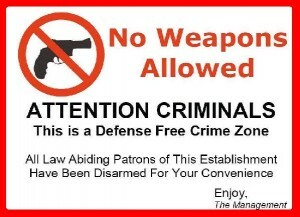 Personally, I would feel safer with these community members wielding guns roaming my school’s halls than I currently do with a sign, “warning” gunmen that their weapons are prohibited. This may be a classical line, but it can be argued that guns do not kill people; people kill people. Millions of people own firearms in the United States and nothing, besides sanity, is keeping them from shooting up schools. However, they are their own entities, and they are the ones with the brains, not the guns. If people can carry firearms freely throughout the rest of the country, should they be allowed to carry them in schools? The district attorney did not know how to interpret the vague laws on concealed weapons in high schools, so this is questionable. She came to a conclusion that it meant only law officials, but because she was not instantly aware of this fact when reading the law, it came down to her opinion about it. Following this event, a hundred people held a meeting in the school to discuss the threat of this community member that was warning them that their security was bad. The main issue of concern for these people should be that while this man had no ill purposes, others could do the same exact thing. One lady from Turkeyfoot stated to the Daily American, “Any idiot knows you shouldn’t bring a gun into a school. Who thinks that’s OK?” My response to this is that if he was an idiot, he would have already shot up the school. The school administration was unaware of whether he was legally allowed to have his gun in the school or not, so was he really doing anything wrong? School staff need to be familiar with local laws on concealed weapons to prevent issues like this from happening. The school responded by hiring a security guard for the week to defend the school. They probably should not have hired him over an instance like this, yet I wish that every school would have a security guard or at least someone with a concealed weapon. Not because a father or business owner is going to carry his concealed weapon with him but because there are those that are insane. I have never heard of a father or local business owner shooting up a high school and if he chose to do so, he would not have warned the people in the office. However, there are those with that are mentally ill who do in fact pose a threat. Should this man be accountable for this? The district attorney was not aware of how to interpret the laws on concealed weapons in schools because they are vague. She came to the conclusion that only those in law enforcement were permitted, but as far as some, including myself, are concerned, this man had no bad intentions. I think one thing you have bothered to overlook here was one of the main concerns of the parents was HOW the school dealt with the situation. One parent heard about this, immediately contacted the principal and was outright lied to that the gun incident NEVER HAPPENED! Then a few days after the incident the school sent home a very vague letter to parents about an "incident" that had occurred at the school and that non students or faculty were ever in danger. They administrators of the school in no way explained anything about the incident or how they handled to the parents AT ALL! a lot of the parents are not even angry with the man who did this! They are angry with the school because the administrators did not do their JOB in contacting parents and in outright LYING about the incident!